I started blogging in January 2009, as you may know the story. Rachel Vincent was having a contest for her next book release of Prey and I wanted that early copy! So I had to post a review in as many places as possible, and so I went to Blogger.com and decided to create a blog! I went with the title a GREAT read--spelled like that purposely because Pride really was a GREAT read! My blogging career then started taking a slow start--I didn't win the contest, but kept the blog anyway. So I started posting and following other blogs and picked up a million tips along the way and made some GREAT friends! I definitely like the reading! I love reading and always have, so I really like having this place where I can gush about the books I read to other avid readers! None of my friends were ever really big paranormal readers--I was ahead of my time since paranormal wasn't big when I was in high school. So I love being able to talk about paranormal books with other paranormal readers! I wish I had a really good, big event reason that I started blogging. But not really. I've enjoyed reading blogs for the past 3-4 years. I've tried various blog concepts, but never found anything that clicked enough to get me to stick with it. In the spring of 2010, I started posting my reviews on Amazon (these early reviews are atrocious). From that, I somehow figured out there was this big YA book blogging community - not sure exactly how I made that connection. I started my blog in June 2010, because I thought it would be fun. And...I'll offer a non-politically correct answer...I thought it would be cool to get some free books. So here I am 2 years later, the occasional free book, a busload of library books, and some books I actually bought with money earned by my own blood, sweat, and tears. Plus, hundreds of reviews and thousands of hours spent on this little hobby of mine. I know I really had to think the reason I started but I can say one thing I am so glad I did. We have the same blog birthday month! :) I didn't know about 'free books' when I first started, but I'll admit that I like that perk. One of my favorite things about book bloggers is that we'd still share our feelings about books even without any perks at all. First feature friday for me :) This is a really great idea! Ain't no shame in loving the free books. What book lover doesn't love free books? Seriously. I don't know what I'd do without blogging! Probably drive my man completely batty! Great answer this week, Alison! Great post this week Alison! I'm so glad that I started blogging..I've met so many awesome bloggers along the way!! I like how it starts off a hobby then takes off to be a part time job HAHA. Glad you started blogging I love to read your post!!! I was the same way! I used to have a couple just everyday blogs, but after a few weeks, I just completely lost interest. But after I started my book blog, I just can't imagine NOT blogging! Yeah, the short of it for me was discovering other book blogs first. I'm glad to be back with FF after an unplanned hiatus...woohoo! I am with you. I just discovered my love of books about 3 years ago as well. Ever since then I have been devouring them and about 1 1/2 ago I decided a blog was what I needed. Some people do crafts, I read books and use my blog and GR as my outlet. Hurry for Bloggers! it was a great thing you did that I think because I love to read your posts now. This is my first feature :D. Great thing you started reviewing and then doing your blog. Wonderful things have come from it. Your blog is really nice, and I love your reviews! I'm an 'old' follower, although I am still very new to blogging. It's a good thing getting free books wasn't on my radar when I've started because I've only gotten one so far. Heh. Being new to blogging and reviewing, my skills still need perfecting. But, I'm pretty sure I'm better than the reviews I wrote on Amazon before blogging. My first one is like two sentences long that says the writing was poor and then I apologized for saying so. haha! I actually didn't even realize that getting free books was an option for newer blogs. I thought the only people receiving them had been blogging for years, but then a month or so in I started getting review requests and found out about NetGalley. Free books are a huge bonus! 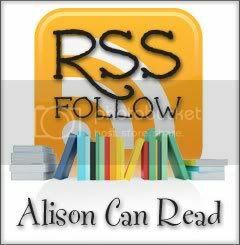 Its a delightful hobby though Alison :) Congratulations on having such a wonderful and well read blog! I'm still very happy that I've started blogging. And thanks to this meme, I already met so many great bloggers! I didn't really have a big event that happened either. I started writing reviews on Good Reads. Great post! I posted reviews on amazon, too for a while. Congrats to the feature. This is so cool! I found it on L.K. Hill's blog, my fellow Jolly Fish author. I entered my blog and am off to follow as many as I can. Thanks! You wrote that your early reviews were unsatisfactory for you, but I have read your current reviews and I can say they are well constructed and logical. Your reviews denote great reading analysis. Now following via email and GFC! Aww great answer. I started because i really wanted to share book interests. Hopping through! My second week through here and I've totally enjoyed myself, thanks so much for hosting this! !